Basil, Horseradish, Marigold, Peas, Squash, Beans, Aubergine and Coriander. Grow from seed potatoes. Plant out in early to mid spring. 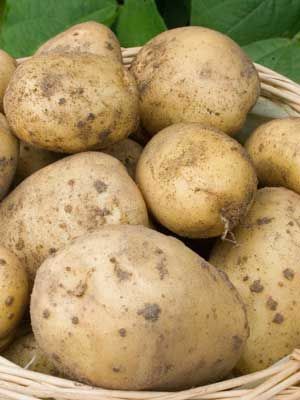 Once the foliage has wilted harvest the main crop within a couple of weeks, digging in from the side to avoid damaging the tubers.